Ryan exemplifies our motto, “Freedom Through Service.” He began his journey here as a student coming regularly to classes and offering to help with anything that needed to be done. His commitment to volunteering regularly, as well as immersing himself into the daily practice and taking the Teacher Training, is an example to us all of dedication, devotion, and the vulnerability and courage it takes to walk a Yogic Path. In addition to being a “hands on, go to” fixture of this community, Ryan is always there to offer support, encouragement, and a pun or two to lift our spirits and remind us that life is joyful. His classes are a delightful representation of his spirit – strong, balanced, accessible, healing, and fun. 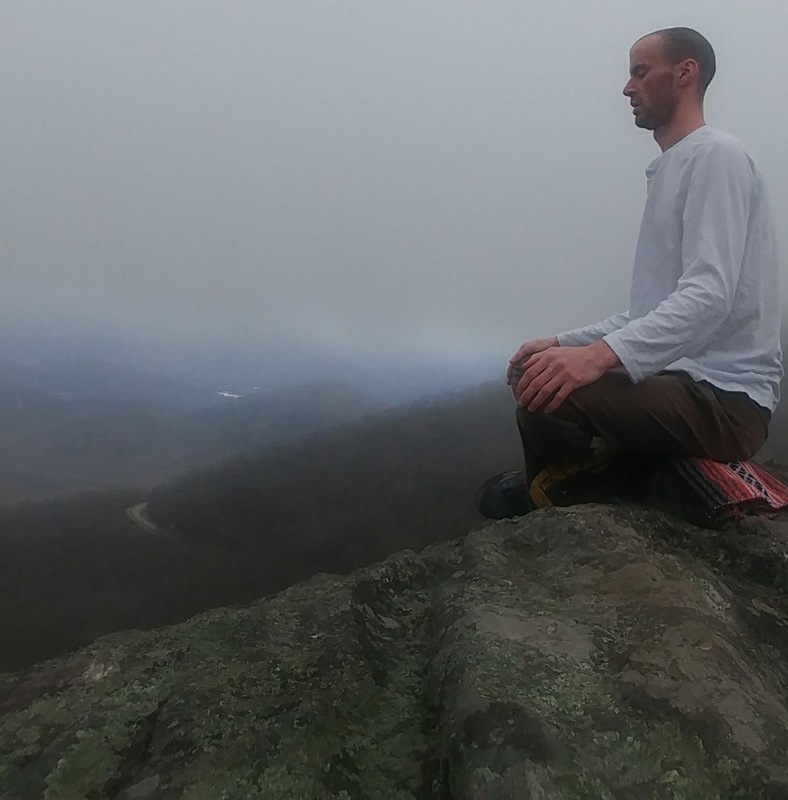 I simply cannot imagine Asheville Community Yoga without Ryan. He is an essential part of the heart and spirit of our community. Ryan, also known as Tibby Tickles, is a kind hearted spirit with a big sense of humor. He’s always crackin’ jokes and making us laugh (and roll our eyes). He pushes himself to do what he knows will help him grow, and it’s been wonderful to see him blossom as a teacher and a human. He’s also the proud father of 2 cats. What a guy! Ryan is a fantastic friend who is always ready with a terrible pun, a remarkably sound logical idea, or the willingness to support his fellow co-workers. I am so grateful for the space he holds in each class he teaches, and for the amount of times he makes me giggle way too much at the front desk every single week! Also his cats are the best cats I’ve ever met, which I’m sure says something extremely good about his cat-parenting style. Love you Ry!! Ryan is such a stellar part of this community. He is a warm and bright light, shining his kindness and flexibility throughout every space in the studio! I love how helpful and caring Ryan is. He is also a master Punner!! He always keeps things light and makes my shifts fun! Ryan is a true friend. He is caring and selfless as he is there if ever you need anything. Ryan is the kind of guy that will lend an ear, give you a shoulder to cry on, try to fix your worries if he can and then remind you that life is fun by telling a joke so that you can laugh it off. He is a true teacher of life and yoga, It has been inspiring to watch his journey unfold with humility and grace. Ryan’s yoga classes are well rounded and accessible to everyone as he gives you the options to take it to the next level or the courage to honor your body. His offerings are genuine and lighthearted with nuggets of wisdom sprinkled throughout. Thanks for all that you do buddy, ACY is richer for your presence! !